Mighty wavetable synthesis from the legendary manufacturer. The Waldorf Blofeld Synthesizer in white is a cinematic, dramatic, and incredibly functional synthesizer. This analogue emulation at its best. The synthesis engine offers a unique blend of analogue emulation and digital vibrancy. The system is based upon the revolutionary wave synthesizers of the early 80s. On first listen, the Blofeld is sure to invoke nostalgia, but it's regularly updated firmware means it's always on the cutting edge of synthesis technology. 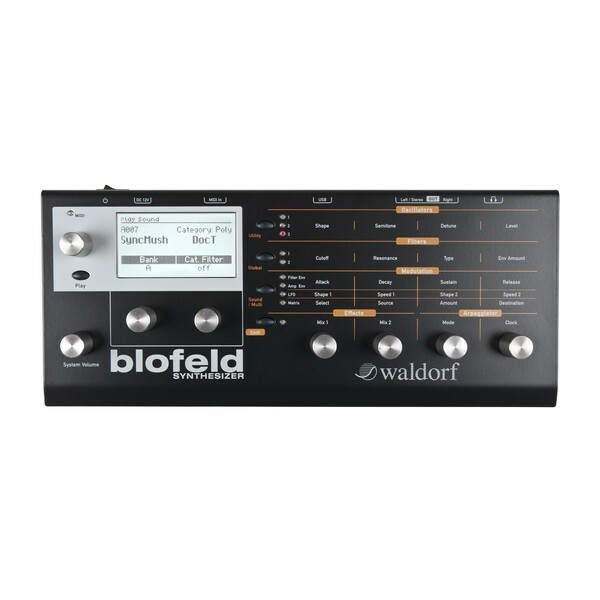 The Waldorf Blofeld features three oscillators which feature high-end circuit models of analogue waveforms. It also borrows the two wavetables from Waldorf Q, incorporating them into the first two oscillators. Also included are ROM wavetables from the flagship Waldorf Wave. This innovative wavetable synthesizer features everything you need for live performances and sound design. The combination of ring modulation, a noise generator, advanced filters, envelopes and LFOs makes the Blofeld one of the most versatile synth modules on the market. At the heart of the Waldorf Blofeld are three oscillators which are designed using authentic circuit-models of analogue oscillators. Included are pulse waveforms with variable pulse-width, sawtooth, triangle and a sine wave. This wide selection of analogue-based waveforms allows you to create everything from natural and organic sounds to aggressive basslines and pads. The Blofeld is perfect for creating complex timbres and sounds with its wide range of controls and ergonomic layout. The Blofeld also borrows waveforms from other Waldorf synths. For example, the Blofeld includes all the ROM Wavetables form the flagship Waldorf Wave Oscillator. Additionally, the Upper Wavetable from the classic PPG Wave is also included for maximum versatility. The integrated ring modulation circuit allows you to texturise the sound of oscillators one and two. Ring modulation is perfect for creating unique timbres such as bell-like or metallic sounds. You can even use it to create sound effects as well as powerful basses and leads. Blofeld also features a built-in noise generator. This allows you to use white noise as a starting point for sound generation. From here you can filter the noise generation through the built-in filters and Noise Colour settings. From here, you can mix the three oscillators, ring modulator and noise generator into filter 1 and filter 2 for in-depth sound design. This gives you the ability to control the richer harmonic content of the tone generators. The Waldorf Blofeld possesses two multimode filters per voice. You can route the filter either in a series or in parallel for added control. 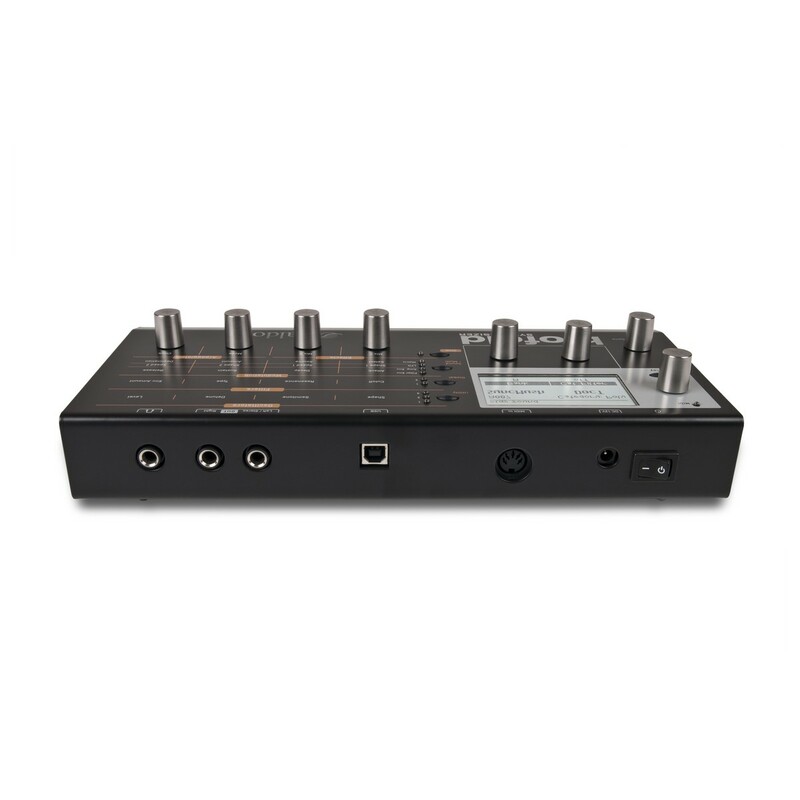 Each filter comes complete with its own Pan parameter, perfect for creating immersive stereo sounds. The multimode filter is comprised of low pass, band pass, high pass and notch settings. Each filter features can be toggled between 12dB/oct or 24dB/oct slopes. The built-in filters also offer freely controllable Drive parameters. You can achieve everything from tube saturation to two types of electric pickups and even binary distortion. 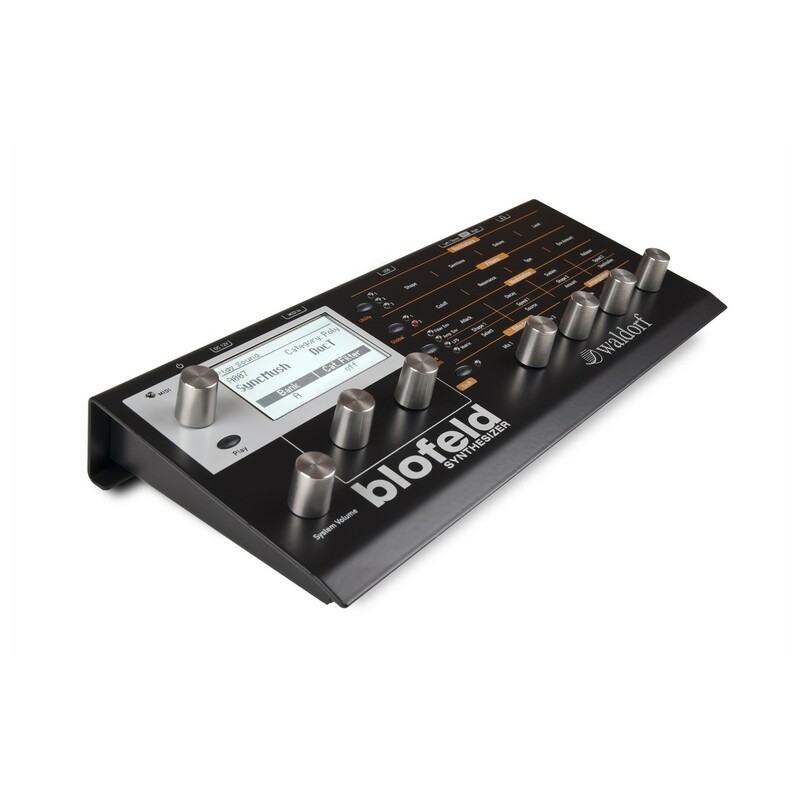 One important feature of the Blofeld LFOs is that higher rates reach well into the audio frequency range, thus making them useful extra FM sources. There are two basic modes: either linear FM as seen in classic digital synths or logarithmic FM, which is primarily the domain of analogue modular systems.